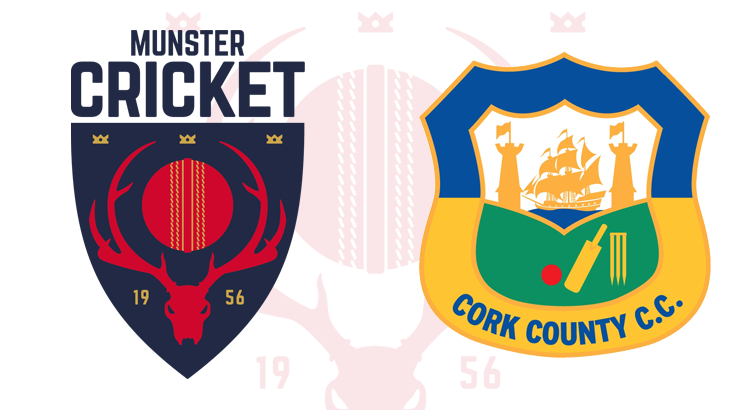 Congratulations to Cork County who clinched their 4th successive Senior League title following a hard fought 58 run victory at Lydican to remain unbeaten with two fixtures still to play (a double header against Cork Harlequins). The Leesiders went in to the game knowing a victory of any kind would put them in an unassailable lead in the Premier Division and so would retain their title for the fourth season in a row. The showdown at Lydican was a repeat of this season’s Munster Senior Cup Semi-Final between the two sides in which Co. Galway emerged victorious in convincing fashion so County would have been well aware that it was going to be a tough battle. Winning the toss, Co. Galway skipper Damish Ali opted to put the visitors in to bat in extremely blustery conditions at Lydican. Following the loss of in-form Ross Durity (5) and skipper Cormac Hassett (4) relatively cheaply, County looked to opener Ian Coleman (62) and the experience of Robert Duggan (61) to steady the ship with the pair putting on a partnership of over 120 for the third wicket and put the visitors in a commanding position. The pair worked the ball around the pitch with good intent taking the 1’s and 2’s which allowed them to open us as the Galway attack began to tire. Once Duggan and Coleman departed, a late innings big hitting flurry from Aidan Kelleher (36) pushed the Leesiders towards a competitive total of 225 in what were difficult conditions for both batsmen, bowlers and fielders alike. Danish Ali proved to be the most incisive with the ball taking 5-47 from his 10 over spell, ably supported by Waqqas Ali Raja with 3-30. In reply, Galway lost opener Patrick McDonnell for just 4 but a fast paced second wicket partnership between Mohammad Ali (45) and Tarik Rehman (24) put the home side in a decent position aided by the County fieldsmen who put down one or two chances. Following the departure of Ali and Rehman, the Galway middle order offered little resistance against disciplined line and length from seamer Hugh O’Brien (1-42) and the left arm spin of Diarmuid Carey (2-34). A late order flurry from Tabish Ali Shah (30) gave the Tribesmen some hope but once he departed after he was caught and bowled by Sean Cawley then the writing was on the wall. An excellent spell from Sean Cawley (4-21) cleaned up the Galway tail and guided Cork County to victory and confirmed them as the 2016 Premier Division Champions with a double header against Cork Harlequins still to play. The win also means that it will be Cork County’s second league title win in a week following their impressive table topping finish in Leinster Division 2.